I own this Dell Inspiron 15 i5558-5718SLV for a few weeks now, and I have not been disappointed . A new Dell touchscreen laptop with the newest OS, Windows 10, with decent specs, minimal bloatware for under 500 bucks, was the one I was searching for. I paid a lot of attention , looked around yet have I found any laptops which come close aside from refurbished laptops with older CPUs. After considering all things, I can say this is the best bang for your buck. 1. I wish it included a dedicated graphics, it uses intregated HD Intel 4400 Graphics cards on its motherboard, that shares the memory for processing and graphics. There isn’t any additional ports for a discrete GPU, and as if it was, the laptop does not have any space for more cooling system for your video card – it is not a 1k range gaming laptop, check this Dell i7559 if you wish to have a Dell gaming laptop. For the price, this integrated Intel HD graphic cards is standard. This said, although Dell Inspiron i5558 is not a gaming laptop, but you still can use it more than “basic or light” computer tasks. I run often Adobe programs, as well as my developing software like Android and Visual studio, editing and watching 1080p videos and movies, yes, you can do THESE. 2. I wish this Dell Inspiron 15 i5558 5718SLV Signature Edition has more USB 3.0 ports, as it has only 1x USB 3.0 and 2x USB 2.0 ports, SD card reader, bluetooth 4.0, and an ethernet port. Why Dell Inspiron 15 i5558-5718SLV? 1. 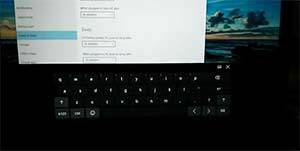 Cheap touchscreen laptop and backlit chiclet keyboard laptop with Windows 10, and Dell i5558 is a signature edition. What is a signature edition? It is a “cleaner” laptop that has no preinstalled bloatware, max. battery life, better performance (starts up & shut downs), and more protected. More info can be found here. 2. Overview performance is not the fastest but it can do all things more than “basic”. The combination of dual-core 4-thread 4th generation of Intel Core i5 and 8 GB of RAM has better benchmarks than my AMD processor of my older laptop that I replaced. I needed about 50-60 seconds to boots the laptop to a complete functional state device. 3. This Dell Inspiron 15 i5558-5718SLV comes with 8 GB of RAM, which is upgradable up to max 16 GB. This laptop has two slots for memory, and are both occupied by the default RAM. So if you want to upgrade to 16 GB then, you will need to replace both of them with 2x 8GB SO-DIMMs memory. 4. The screen is beautiful, you won’t be able to find another 1080p full HD screen with i5 and 8GB RAM laptop for this price, this is why I purchased it, as it worth it. 5. Dell Inspiron 15 i5558-5718SLV has 1TB hard drive, at this price, you will find most laptops to have 500 GB HDD. HDD is upgradable to SSD, if needed, and the 4 cell battery is removeable. 6. It has fresh pre-installed Windows 10 64-bit, which is good to avoid bugs on the upgrades. I don’t recommend to downgrade. 7. I am glad it includes an optical drive so I don’t have to loose my DVDs. 8. 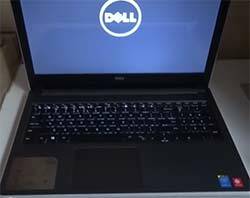 One year Dell warranty, to find your Dell service tag, follow this tutorial. Overall, this laptop is excellent, but for under 500 bucks or less here, you can’t expect it to be a perfect device. It has powerful i5 Intel processor, 8GB of RAM, and a lof of space of storage, and 1080p full HD, this Dell Inspiron 15 i5558-5718SLV is the ultimate deal now on the laptop market, hands down.